Half a dozen Albertans are dead after contracting this year’s flu virus. 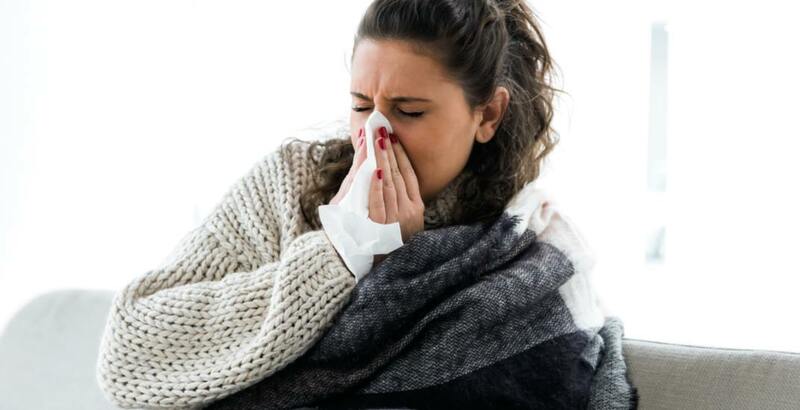 According to Alberta Health Services, 1,241 cases of the flu have been confirmed in the Calgary area as of November 29 — though it is likely that many more have fallen ill and not visited the doctor. Those carrying the virus in Calgary account for more than half of Alberta’s 1,985 total confirmed cases, and of the six Albertans who died after contracting the flu, five were from Calgary. This alarming stat comes after last year’s 92 flu-related deaths province-wide and over 9,000 confirmed cases. AHS will be releasing weekly data tracking confirmed cases, locations, deaths related to, and more in regards to the spread of the virus. According to the fourth week of data, released on November 29, 293 Calgarians have been admitted to the hospital with the flu. The data shows that a similar amount of people between Edmonton and Calgary have been immunized (342,429 in Edmonton, 413,152 in Calgary), however, more than four times the amount of Calgarians have already contracted the flu this season. Clinics have been administering the free vaccine for over a month now to over 410,000 Calgarians, though this accounts for just over 33% of the total population. The past few years have shown a steady increase in administered influenza shots. Taking into consideration that the 2018/2019 flu season is still in its early stages, the nearly one million shots already administered throughout Alberta is a significant improvement over past years. Immunizations are available to all Calgarians over the age of five, free of charge, at any AHS clinic, pharmacist, or physician.